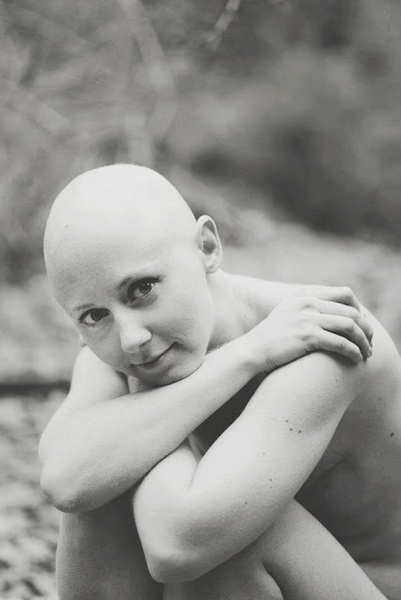 There’s something eerie about the way cancer survivors are portrayed. It starts with the smiling, hat-donning models that look out from rows of informational brochures at the cancer center. Touting headlines such as “Lymphoma and You” or “End of Life Options,” the brochures make for macabre advertisement. A stoic grandfatherly looking gentleman leans against a tree on cover of brochure titled “Understanding Your Prostate.” The look on his face seems to imply that he never wanted his prostate, anyway. After the diagnosis of cancer, the next images that are typically laid out for public consumption are those of “survivors.” You know the ones: pink hats, smiling faces and strength, strength, strength. So here’s the deal: There’s a lot that happens in the middle. And it’s not all knowing smiles and pretty pink hats. I understand why images of smiling, happy people are chosen for “the face of cancer.” No one would pick up a brochure with grandmother breaking down and mouthing, “Why me?” But I also believe it’s important to be honest and to be able to really prepare those who are on this path. Cancer — and its treatment — isn’t pretty. Surviving means getting down to the core of being human with all the grit and grace that goes along with it. 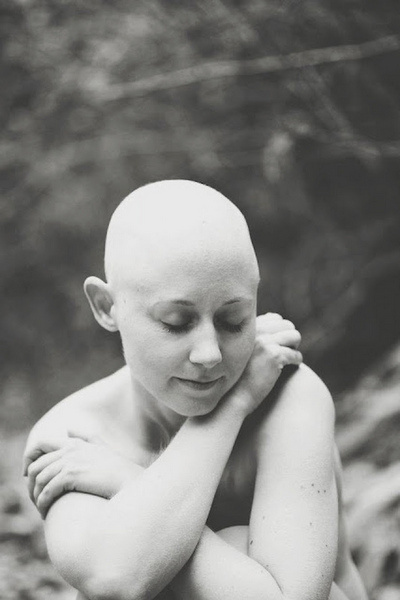 This is why, on a cold day in October, my best friend and I ventured out into the woods to document “the middle” of cancer. At that point in time, I had completed five of six chemo treatments. I was not at my thinnest; I would lose another six pounds, require saline and blood to get through my final treatment. And though these photos would never be used on cover of a brochure titled “Breast Cancer and You,” they are reality. Cancer is a brutal adversary. But there is beauty and strength in standing up to it – and being honest. I was here. This is part of my story, too. I am not afraid. Follow this journey on My Life, Distilled.